Unsurprisingly, the Crimean referendum resulted in a landslide victory for those wishing to leave Ukraine and join Russia. The incredibly high turnout reflects the fact that this wasn’t just a vote for another politician who probably isn’t going to make any real difference. Instead, it is a vote for the future of the region, and it will have real effects on the people here. I’m still thinking about those, so will write about them later. Instead, here are some of the reactions I heard today. Some question the legitimacy of the figures quoted after the referendum, citing particularly the fact that many Tatars and pro-Ukrainians abstained and this will have skewed the numbers. This was one of the issues I mentioned in a previous post. What is, however, true is that most people here who voted chose the option they wanted. Nobody I’ve spoken to today felt pressured to choose one way or the other, and all but one of them (of about 10) chose Russia, which I’ve just realised reflects the ‘official’ figures. Eugene emails: Hello, I live in Sevastopol, Crimea. I want to assure the citizens of Europe that the holding of a referendum in Crimea 16.03.2014 was absolutely transparent and honest. 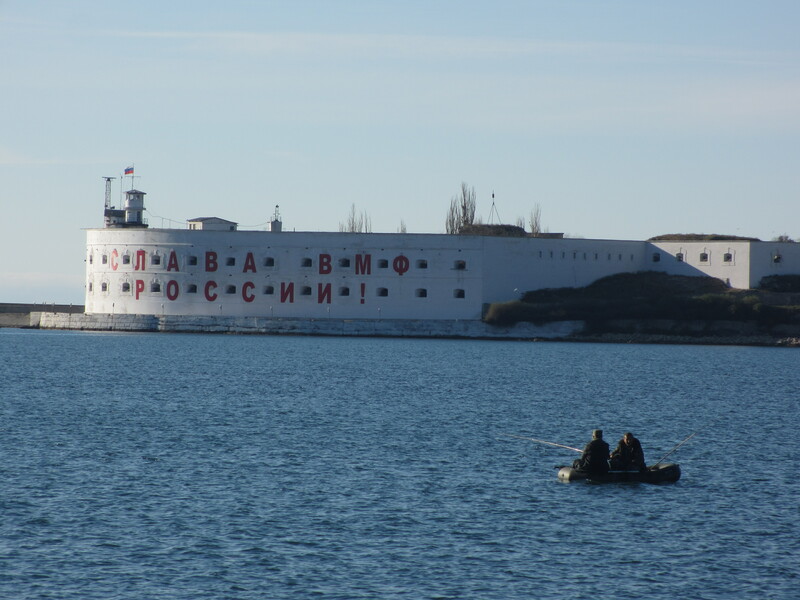 It may seem that all intimidated in the Crimea, but it is not so! Crimeans long dreamed reunited with their homeland – Russia! Elena, Sevastopol, emails: Nobody tried to take my vote. Most of the people I know, friends and family, gave their voice with a full heart and were very happy to be able to vote… In my city, most of the people that were born here or live here feel like they are Russian. We live like Russians, we think and talk in Russian… When my friends from all over the EU ask me where I am from, I’ll answer that I am from Sevastopol and that I’m Russian. Everybody is waiting to see what Russia will do now. In the first class I taught today, one of my older students (a woman in her 60s) came in with a huge smile on her face. In Russian, she asked the two younger students (in their 20s) ‘Happy?’ She told me that this was a decision for the future, and that young people might not understand, but she hoped it would help her children and grandchildren. Another person told me she and all her friends voted for Russia because it was the right thing to do. She said they had made a free choice in the vote. The BBC interviewed a lawyer in Simferopol yesterday who reflects the views of some of my students, and slightly surprisingly for me, falls into the younger age bracket. One of my youngest students, too young to vote, posted on social media in Russian that she was pleased with the results too. One student said she had voted for Ukraine, but her mum, who may have trouble finding work in Russian Crimea, still voted to leave Ukraine. My student seemed to have taken the result well though – I don’t think she expected anything else. On a side note, the Sevastopol office of Yulia Tymoschenko’s very pro-Ukrainian ‘Batkivshchyna’ (Fatherland) party, which used to be in the offices on the floor under our school, have disappeared over the weekend. A couple of people were non-committal about the results, and weren’t really sure whether it was a good thing or not that Crimea has voted to become part of Russia. I don’t know if they voted or not. They are waiting to see what will happen next. 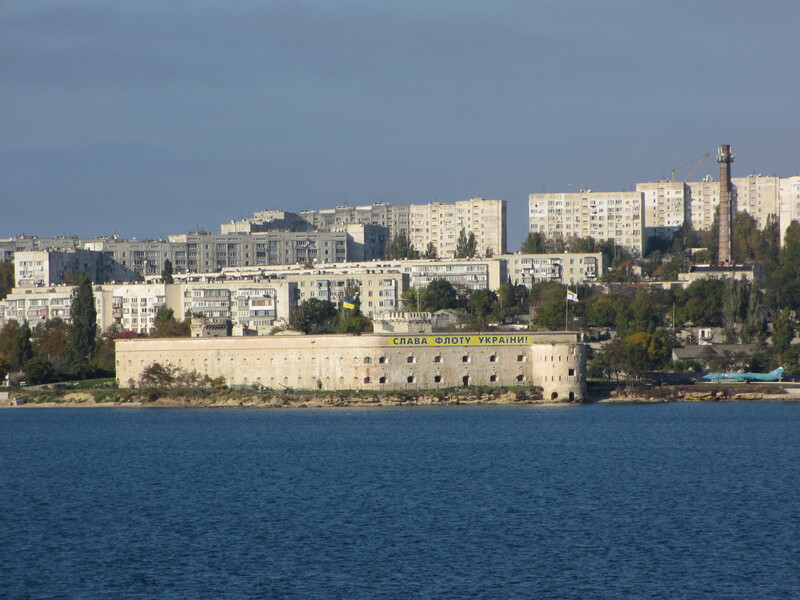 There were big crowds celebrating in Sevastopol yesterday, which I saw on the webcam but didn’t take a screenshot of. The BBC showed celebrations in Simferopol, which seemed to be even more ecstatic. At 8pm tonight there was a fireworks display in the centre of Sevastopol to celebrate the results of the referendum. I don’t remember if I’ve said this before, but I strongly believe that people here should have a right to choose, but the way that the Crimean Parliament has gone about it is completely wrong. There has been no considered debate, a large proportion of the Crimean population have been cut out of the argument completely and propaganda has been used to confuse people (not saying that it has changed their minds, but it doesn’t allow clear thinking). I also wonder who Sergey Aksyonov is and what right he has to have voted in as the Prime Minister of Crimea. This is the one vote I’m aware of which really could be said to have been at the barrel of a gun. Despite all that, I think that people here do want to be part of Russia. There is now no doubt in my mind that this is what the majority of people in Sevastopol, and across Crimea want. The phrases ‘A dream come true’ and ‘We’re going home’ have been used repeatedly in videos I’ve watched of people talking about their choices. Even if everyone voted who could have done, the referendum would probably still have gone in favour of Russia, although it would have been much less of a landslide. I don’t believe there is really anything short of military action which anyone can now take to make Crimea part of Ukraine again, and I don’t think the world is willing to do that. Nobody wants a war. That’s not to say that there should be no repercussions for that way that this situation has unfolded, but that those repercussions should be against the people who have pushed the whole process, rather than the normal people in the street who have exercised their rights to vote. So now it remains to be seen whether the ultimate consequences of holding this referendum will be the positive ones many people here expect, and just how long the fallout period will last. Thank you thank you so much Sandy. It is great to have the inside point of view , greater even from a non native . Most times information from The Media is not accurate and sensasionalism can make you think peole voted under strong military pressure. Thanks again !